At Baselworld this year, Luminox announced its newest partnership with the professional search and rescue team of Iceland, the ICE-SAR. Following the organisation’s 90th anniversary (having been founded in 1928), the brand sought to partner with them, given the organic synergy between the two, what with the dire need for the timepieces worn by the ICE-SAR to withstand anything. In a nutshell, it’s why the ICE-SAR’s job is taken so seriously. An all-volunteer force (the same as Iceland’s army), the ICE-SAR now stands at 8,000 volunteers across 93 different teams. All volunteers are true Search and Rescue experts as all rescuers receive an 18 months training before they can go on their first mission and proudly stand behind the ICE-SAR motto: Devotion, Professionalism and Leadership. Unveiled at Baselworld, this new collaboration sees five models, the ICE-SAR 1000 Arctic series, designed to withstand the harshest of Icelandic weather. The watches are all 20 ATM water-resistant and come with a scratch-resistant sapphire crystal glass. 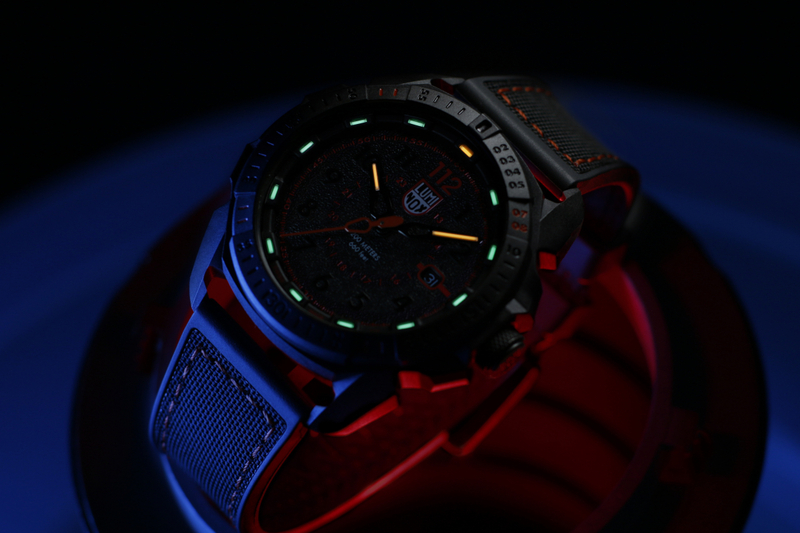 Luminox has also made sure to fit the timepieces with a CARBONOX™ casing, allowing for extreme robustness and ultra-lightweight use during rescue missions. For the endless nights that surrounds Iceland, the Luminox Lighting Technology (LLT) guarantees ultimate night vision to the volunteers of the ICE-SAR teams (for up to 25 years). Each watch also features a 60 minute scale marking on the bezel and various strap options such as fabric, rubber and velcro. The dials of the 1000 Arctic Series have also been sandblaster, paying tribute to the volcanic landscapes of Iceland and “a direct interpretation of the lava fields that cover 30% of the country.” All three hands of the watches have been inspired by the carabiners that ICE-SAR rescuers are using in all missions and the crown is inspired by the knurling part of these carabiners. On the blue and black/red models (the two in the middle), the index at 12 is replaced by the numbers “112”, the emergency telephone number in most European countries. The shape of the ICE-SAR logo forms the bezel shape and all models boast an ICE-SAR logo marking on the stainless steel caseback.